Game recaps, notes from Board of Governors meetings, Flyers hire Chuck Fletcher as GM, latest trades and more from a busy Monday in your NHL morning coffee headlines. 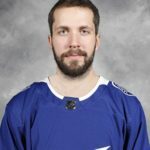 NHL.COM: Tampa Bay Lightning winger Nikita Kucherov extended his points streak to 10 games with a goal and three assists in a 5-1 victory over the New Jersey Devils. Brayden Point had a goal and two assists. The Nashville Predators edged the Buffalo Sabres 2-1 to hand the latter their third straight loss. Kevin Fiala snapped a 1-1 tie with a third-period goal. With Connor McDavid ailing and out of the lineup, the Edmonton Oilers fell 4-1 to the Dallas Stars. Brett Ritchie had a goal and an assist for the Stars. Winnipeg Jets center Mark Scheifele, Arizona Coyotes goaltender Adin Hill, and Florida Panthers left wing Jonathan Huberdeau are the NHL’s three stars for the week ending Dec. 2, 2019. The Philadelphia Flyers hired former Minnesota Wild general manager Chuck Fletcher as their new GM. Fletcher takes over from Ron Hextall, who was fired last week. SPECTOR’S NOTE: I’ll have a look at Fletcher’s possible immediate plans later this morning in the Rumors section. SPORTSNET: NHL commissioner Gary Bettman projected the salary cap for next season could reach $83 million. SPECTOR’S NOTE: That would be another healthy increase in the cap, jumping $3.5 million over the current $79.5 million ceiling. The finalized figure will be announced by late-June. If, as expected, the Board of Governors approves the addition of Seattle as the NHL’s 32nd franchise later today, it’s expected their first season will be 2021-22. SPECTOR’S NOTE: It’s expected the KeyArena in Seattle won’t be ready to go until November 2020, which would explain the rationale behind pushing their inaugural campaign to the following season. It would also remove a key piece of leverage away from the NHLPA should they opt to take the early out from the current CBA next September. The league probably doesn’t want to risk a potential labor war potentially messing up the debut of their new franchise. Bettman also said the league has informed the NHLPA that it needs to know by next month if they’re willing to sign off on a World Cup of Hockey tournament in 2020. “For the last year and a half, two years, we’ve been anxious to anchor plans for a World Cup but for whatever reason, the players’ association hasn’t been prepared to do that,” said Bettman. SPECTOR’S NOTE: The reason being the players prefer the Winter Olympics over the World Cup of Hockey. Still, if the NHLPA agrees to take part in the tournament, it could mean they won’t exercise their early-out from the current CBA next September. Fingers crossed, kids! STLTODAY.COM: The St. Louis Blues placed defenseman Alex Pietrangelo (hand), winger Robby Fabbri (separated shoulder), and forward Alexander Steen (concussion) on injured reserve. Pietrangelo and Fabbri could be sidelined until at least Christmas while Steen is listed as day-to-day. TSN: Toronto Maple Leafs winger William Nylander said he was told by GM Kyle Dubas he wouldn’t be traded as long as Dubas is running the Leafs. Nylander and the Leafs recently ended a lengthy contract standoff. SPECTOR’S NOTE: I don’t doubt Dubas was sincere and Nylander undoubtedly believes him. But Nylander lacks no-trade protection until the final season of his new six-year contract. A lot can happen over that time period to change Dubas’ mind if he remains the GM over that period. Speaking of the Leafs, they traded forward Josh Leivo to the Vancouver Canucks for forward Michael Carcone and temporarily loaned defenseman Travis Dermott to their AHL affiliate to make room for Nylander. Dermott’s expected back on their roster later today. TRIBLIVE.COM: The Pittsburgh Penguins traded winger Daniel Sprong to the Anaheim Ducks for defenseman Marcus Pettersson. SPECTOR’S NOTE: Both trades saw their clubs swapping young players who weren’t working out, with their new teams hoping the change of scenery improves their respective performances. NHL.COM: The Los Angeles Kings claimed forward Brendan Leipsic off waivers from the Vancouver Canucks. So, in today’s NHL, sucker punching someone is “unsportsmanlike conduct”. If nothing else, that explains why Tom Wilson hasn’t been banned from the league for life. What gets my goat sometimes with (non-headshot) suspensions is that whatever stupidity that leads up to the offence is ignored. I have no problem with Bertuzzi getting a couple of games for punching a dude on the ice while sitting on the bench. Why though does Calvert get nothing for full on spearing dude in the guts on the bench while on the ice? And yes I saw the redwings player grab his stick. Calvert’s reaction was disproportionate to the situation and he freed his stick already. I guess it is true, they only ever see the retaliation. Rutherford trades a guy who is a point per game player at the AHL level for a guy that will never play a game in the NHL or the AHL. If Sprong goes on to become a scoring star then this is Marcus Naslund all over again. I realize Sullivan was never going to actually give the kid a chance but this seems like such a waste. I am not overly happy about this one either as I think we are giving up on him too soon. However if he isn’t going to get top 9 mins on the reg, there is no point of him in the lineup. Can’t send him down to get that top 9 mins in the A or you end up like Zykov with Carolina last week. He also didn’t really do the little things to earn him extra time to move back up. When he was in the top 6 he was non-existant for the most part. Its frustrating because he has high end talent, but what more can you do? he couldn’t beat out the other RW’s to get the time so this is the end result – Probably needs a change of scenery. Naslund’s situation was more towards having too much offense and thinking Stojanov was going to be that gritty Kevin Stevens light player they could actually use. Plus who thought he would be in a car accident shortly after to which he probably never recovered. At least with Petterson he is controllable (can be sent to the AHL without going through waivers) and gives some defensive depth. ds – you have something there too. If we remember last season, he got into some trouble while with WBS as he had some “attitude problems” and a few incidents. I think from that point on the team sort of had enough of him and he was tuned out.